1)Legal description: This portion shows where the property is located, address, as well as it’s boundaries. 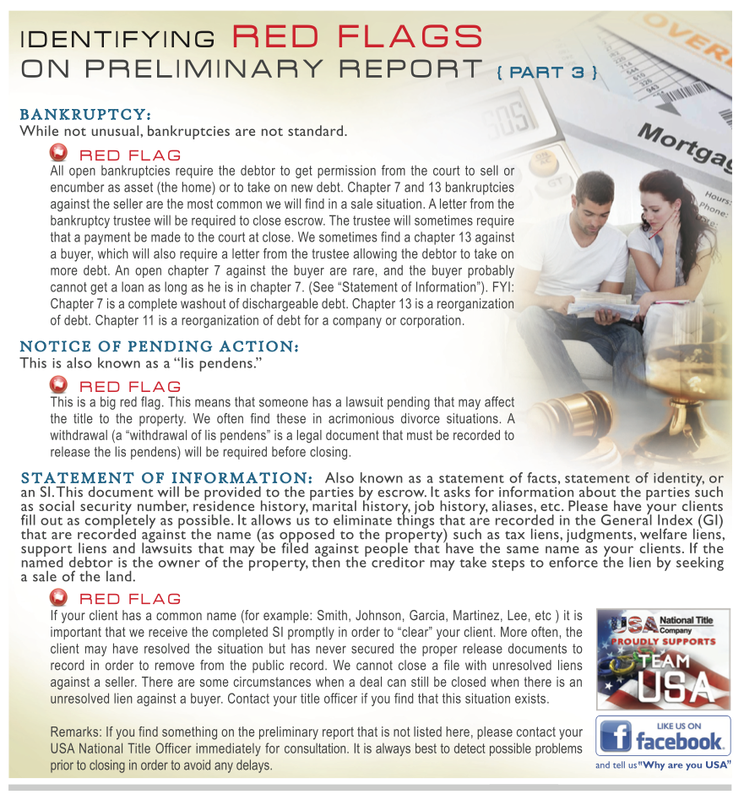 3)Mortgage Liens: This shows the lenders that have a lien on the property, the amounts owed to them as well as the order of seniority in which they must be paid off. 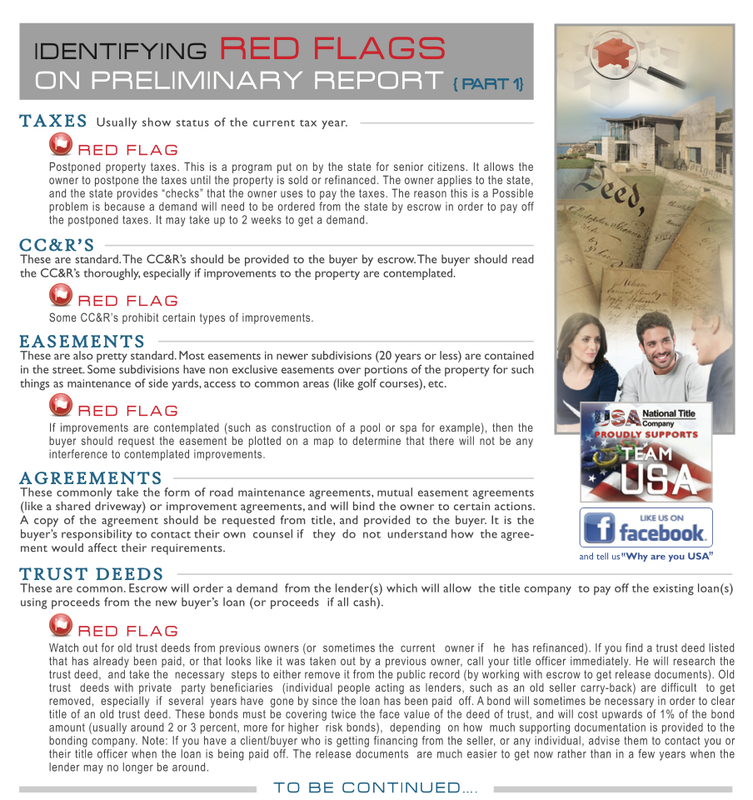 Below are some really useful Red Flags to look out for. 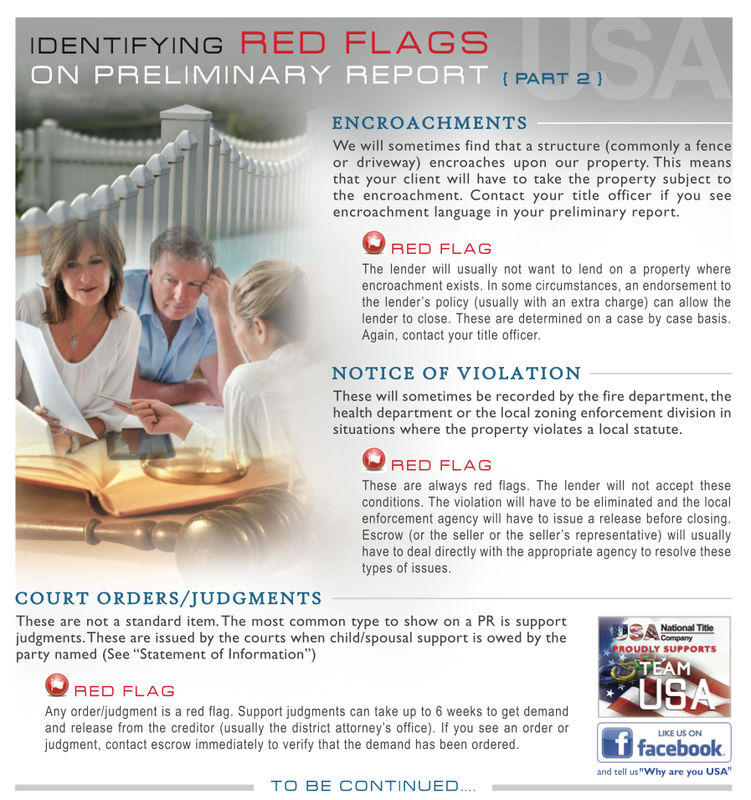 These red flags were provided by USA National Title Company and I do not claim any ownership to them.